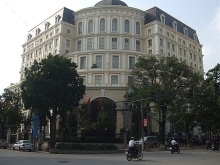 The Joint Stock Commercial Bank for Foreign Trade of Vietnam (Vietcombank) reported a loss of US$5.34 million by the end of 2016 in their US$9.62-million investment into their remittance company. The bank lost another US$563,000 in a US$5.9-million investment in its Vietcombank Fund Management company, the report said. The report also pointed out that the Joint Stock Commercial Bank for Investment and Development of Vietnam (BIDV) had invested a total of VND3.1 trillion (US$137.8 million) in three subsidiaries and another 12 long-term loans worth VND280 billion. However, the state-owned bank had not earned any dividends from these investments. Another loss-making investment was made by the Co-operative Bank of Vietnam (Co-opBank) as a fixed-term deposit of VND585 billion (US$25 million) in a stock company. The bank is having difficulties retrieving the money, the report said. Three other banks, which were bought by the State Bank of Vietnam for a zero-dollar price tag, were also reported to have poor credit management and accumulated a lot of bad debt. GPBank, OceanBank and CB Bank had a total of VND35 trillion (US$1.5 billion) in bad debt, according to the report.